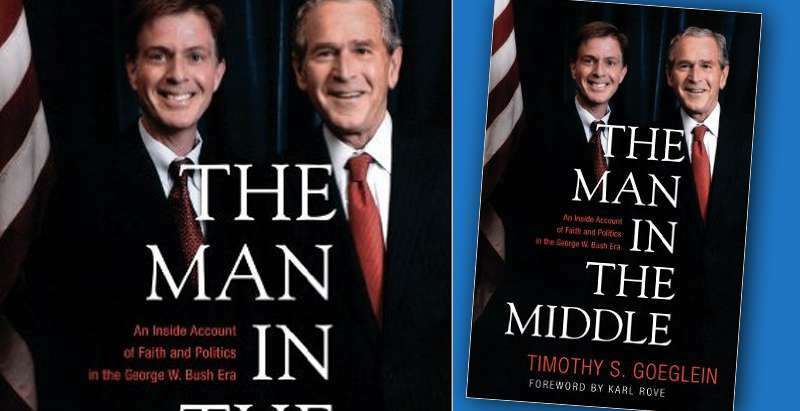 Gayle recently spoke with Timothy S. Goeglein, author of The Man in the Middle: An Inside Account of Faith and Politics in the George W. Bush Era. Mr. Goeglein was a Special Assistant to the President and the Deputy Director of the White House Office of Public Liaison. Gayle Trotter: This is Gayle Trotter, and today I’m speaking with Timothy Goeglein, former Deputy Director of the White House Office of Public Liaison under President George W. Bush and author of The Man in the Middle. Thank you for talking with me today, Tim. 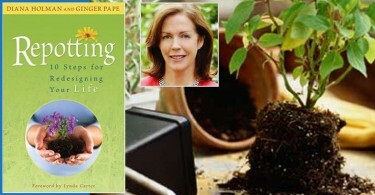 Timothy Goeglein: Thank you so much, Gayle. It’s great to be with you. 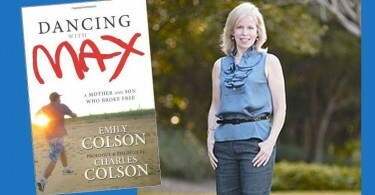 GT: How much courage does it take to write a book after being publicly exposed as a plagiarizer? TG: Because I showed no courage initially and did the wrong thing, I think it was very important and could potentially be a contribution to do the right thing. I came to see that there are a host of biographies and histories which are done by people who have worked at very senior positions in the White House. They’re all important, simply because of who they were during those years. But I came to see, Gayle, that there was another genre of biographies and histories. These were written not by the senior-most people, but they were written by people who were a little bit more removed from power. And I want to be very clear that I was not a senior-most person, and I was not a confidant of the president. But I came to see this genre as very important. I did not set out to write a biography or a history. It is a memoir. It’s a series of snapshots of the president. And to go to the heart of your question, I wanted to write a book that really evoked the character of George W. Bush. And I thought that one of the ways that I could evoke the character of the president, from a very personal and firsthand account, was to show the grace and mercy that he extended to me at the absolute nadir of my life. And I begin the memoir in that regard. GT: How did President Bush treat you after the story broke? In the whole of the American presidency, I’m sure there are great acts of mercy and grace on a personal level from other presidents. I don’t doubt that. But I can honestly say that in my life and in the nature of what I was doing for the president, it was pretty spectacular. GT: What chair did he seat you in while you talked? TG: This was the amazing point because after we had our initial exchange, he suggested that we should talk about the last eight years which I was eager to do, quite honestly, after two hard-fought presidential elections and the work that we did together. So I went to go sit on one of the White House couches and instead, he signaled me to sit in the place of honor which is where the vice president or the visiting head of state sits, in front of the fireplace and below the portrait of George Washington. It was all surreal. But this was again an act of what I consider to be a president who was really — was and is — a great-souled man. This, again, speaks to his character and his integrity, but above all to his Christianity. To him, grace and mercy and forgiveness are real, and he was extending it to me. GT: How did you pick up the pieces of your professional and personal life after this incident? TG: I will confess to you from a spirit of humility that I don’t think that I did anything and that God himself took a very poor, miserable sinner, who had been given one of the most spectacular professional opportunities of a lifetime and I believe that I owe, really, God all the glory and the thanks for what he did. I recount in the book that I really felt that I had embarrassed the president, embarrassed my wife and children, embarrassed all my White House colleagues, my mentors, my friends, et cetera. And I describe my life as a house of cards that just fell in. That was really the case. This was a mental and physical, but above all, a spiritual anguish of a very deep order. Just when you think you’re at the end of your rope, Christ is there to help you. Where I would need to spend another one hundred years internalizing it, he used people as instruments of his grace to minister to me and to help me. And I owe so much to so many people that it would be impossible to begin starting naming names. But I’m very eager not to take any of the credit — and I know that’s not what you’re asking me — but I’m very eager not to give a Horatio Alger story, although I have great regard for Horatio Alger, but in my life I really give the praise to Jesus Christ because I look back and I see how he used different people to point me back spiritually and to point me back personally and to point me back professionally. Now these are very good days. GT: What was your primary responsibility in the Bush White House? TG: I had a very long title which means I had no influence. I was Special Assistant to the President and the Deputy Director of the White House Office of Public Liaison. When Karl Rove, who did the forward to this book, offered me this job, I said, “Can you translate that into the English language?” He said, “You will be the man in the middle.” Therefore that’s the name of my memoir. The man in the middle which was that I would be the president’s point man for all of my fellow Christians and conservatives. And I was; I was the president’s outreach man for nearly eight years with those very key constituencies. I also was the outreach person for all the veterans, for the think tanks and public policy groups and probably a quarter to a third of what most people would say are some of the most important cultural institutions in the country. GT: How would you define conservatism? TG: This is one of the principal reasons I wrote the book because I have a whole chapter on conservatism. And I do so because there have been these very important debates, and many of them have been very serious debates over many years, about what is conservatism. And what I say in the book is that conservatism is not a political program. Conservatism has a political avenue, and on that political avenue is a smaller, limited government, low taxes, less regulations, a strong national defense and what most people would say are a defense of traditional values, which spring from the Judeo-Christian tradition. So I think that elementally, that’s a pretty good working definition of 21stcentury political conservatism. But I argue in the book, Gayle, that conservatism is not, above all, an ideology. It is a way of life. And I believe that while politics is very important and in fact does have consequences, I believe that culture is really preeminent. Richard Weaver famously said, “Ideas have consequences.” Bill Buckley many years later famously said, “And only ideas have consequences.” I believe that conservatism is a way of life. 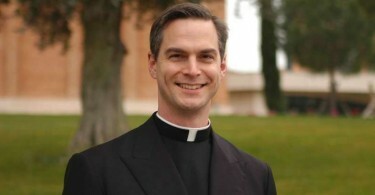 It defends an enduring, moral order which it believes to be true and above all conservatism, rooted in Judeo-Christian tradition, rooted in orthodoxy, believes that some traditions are worth defending, and it says other traditions are not worth defending. But that justice is always the point of it all. And for me, as a Christian and a conservative, I find it a very good way to live. GT: You identify yourself as a strong conservative, but you support and defend Bush’s decidedly not conservative programs and positions like PEPFAR, prescription drug entitlements, federal funding for stem cell research and limits to pure political speech. Can you explain that? TG: The answer is that in my book, I choose to defend some of the things that you mentioned, and I choose to defend them very strongly. But in my book, I choose not to defend other things. I recognize that when you go to work for a U.S. president, nobody elects you to anything. At least whatever percentage or numbers of people do elect him to the highest office in the country. What I say in the book is that there are all kinds of issues, some of which you mentioned, which I believe rightfully conservatives will be debating from now until kingdom come. So I do not choose to spend a lot of time in this book on some of those issues, but on some of them I do. I have a very large part of the book on the faith-based office. A lot of conservatives disagreed with that office, and a number of them agreed with it. So what I choose to do in the book is to look at the achievements that I think are conservative achievements. I defend the war for national security purposes, and I say that George W. Bush’s greatest achievement is that we were never attacked again in the seven years after what Charles Krauthammer has called the Pearl Harbor of our generation, 9/11. I choose his nomination and confirmation of Chief Justice John Roberts and Sam Alito and 35 percent of all sitting federal judges. I also say that he is without peer in the contemporary presidency the most pro-life, pro-family, pro-marriage, pro-religious liberty, pro-individual conscience president, and I think those things really count. 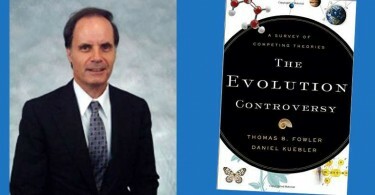 And I have a very large chapter on stem-cell research and I have a very large chapter on the pro-life movement. So I want to be careful about this because there are a number of things in the book that I do not write about, that as a conservative and as a Reaganite — and that’s where I come from, politically — but I choose not to write about certain things, but to emphasize other things because I think in many ways they’ve been forgotten or overlooked. GT: You wrote in the book, “Too often conservatism has been silent on culture, ceding it to the left and others.” How would you like to see conservatives re-engage the culture? TG: This is really the heart of one part of this book because I believe that civilization and culture really matter. And that a hundred years from now, when big historical judgments are made about a country that’s soon going to be four hundred years old, ultimately you make these decisions, rooted in the question of: What is the purpose of a government? The purpose is justice. How did the government advance justice? That’s very important, and I concede that. The most important job that a government plays — it’s why God constituted government. But I also believe very strongly that we should be judged and deserve to be judged on the relative health and contribution and excellence of our culture, and I believe that too often conservatives have ceded the culture leadership of America to the left. I don’t know how intentional we have been about advancing the beautiful, the true and the just. That those ought to be the narrative of excellent music, excellent sculpture, excellent architecture, excellent painting, excellent poetry, the heart of what it means to be an educated man or woman. What kind of a literature did we leave? Are we morally imaginative? Burke has this great phrase about the unbought grace of life. That to me is a very Anglo-American view. How are we integrating the great Judeo-Christian inheritance that we have in the whole of American life? In my view, these are only at one level governmental questions. I think they are predominantly cultural questions. GT: What were your thoughts as you watched President Bush kneel at the casket of Pope John Paul II? TG: I was in Rome with the president, and I was very deeply moved. I believe that George W. Bush is an evangelical, but with a Catholic sensibility. He really connected with Pope John Paul II, although — and I probably should have fleshed this out more in the book — I believe that before he ever met Pope John Paul II, that it was the influence and the impact of John Paul II’s culture of life narrative that really fired the imagination of George W. Bush. So to be in Rome with the president was very important — it was the first Papal funeral any president has ever been to. So I was very deeply moved by that because I knew by that point that the two men had met three times, the president had conferred the Medal of Freedom, which is the highest civilian honor that the president can bestow, upon John Paul II. The answer is that it was very humbling. GT: You have some harsh words for the culture of Washington, including, “The emphasis on the professional is the thing in Washington,” and, “The supreme satisfaction of such professional success can be a subterfuge for the things in life that really matter.” Do you think that Washington is beyond hope? TG: No, I don’t. In fact, I believe that Washington is not beyond hope. I think America is not beyond hope. So often there are these recurring conversations about decline. I am not a declinist. I think decline is a choice, and I think incline is a choice. So when these conversations of decline begin, I always say, “Count me out.” No, Washington is not beyond hope, but we have a generation of young Americans — and Washington is full of young, bright, smart Americans — they’ve lived through a historic brokenness. The divorce levels in America are too high. The illegitimacy levels in America are too high. George W. Bush once called the nuclear family the “unseen pillar of civilization.” I like that phrase very much. Because I believe that if you want a healthy, flourishing, confident country, you have to have healthy, flourishing, confident families. I believe that in an era when so many young people are flooding into Washington, they’ve come from this broken sociology that very often, in their own backgrounds, they don’t get up in the morning and naturally say, “My real goal is to be married, to have a family, and to raise them in and around Washington.” That’s not what they say. Often. Some do, many do — I’ve talked to many of them. TG: I spend a lot of time around young people because I like young people very much. So I am very hopeful and I’m very hopeful for this reason, because when you actually talk to young Americans in Washington who are in their twenties, and I’ve done it a lot, and I understand that anecdotes are not statistics, as they say — what I have found is that they tell me that they enjoy spending lots of time with their family. They tell me they want to be married, but many of them have lived through a difficult circumstance. And they’re a little cautious because they want to get it right. They want to be married, but they want it to be the right person. And so I think they’re putting off marriage longer perhaps than their parents or grandparents or even great-grandparents did. So I’m hesitant, as I was in the book, to make a large pronouncement about one generation. But I do think that in Washington very often career becomes the center, and family does not. I think that that’s something to be cautious about. GT: You wrote in your book that, “ I missed a lot of key moments in the White House years because of my job. Was the sacrifice worth it?” That ties in to what you were just saying. How would you answer that question today? TG: I have just celebrated, with my wonderful wife who is my best friend, twenty years of marriage. TG: All of it has been in Washington D.C. We were married in the Midwest but have lived here our entire married life. The reason I wrote that, Gayle, is because we have had to be intentional. And I’m very careful in the book to not espouse advice or judgment on or for other people. It’s not that I don’t think there is right and wrong or that there is a good way to do things in life, but I wanted to be very cautious about being Solomonic on anything but especially this question. The answer is that when you work in the White House, whether you’re the most junior staffer or you’re the chief of staff, you’re going to miss things with your spouse if you’re married, and you’re going to miss things with your kids if you have them. Our boys were very young at the time. So the answer is I did miss things. I naturally regret that. But I also can say, as I say in the book, that the president, from the very beginning of the administration, wanted us to put families first. He found, and Mrs. Bush found, all kinds of reasons to have the family at the White House which we did many times as a family. And also, unless I absolutely had to be there for an evening event or somewhere else, on the road or in Washington, I was home. My wife and I made that decision because that was a good decision for us at the time. GT: In what way did religion most influence Bush’s presidency? GT: And was ridiculed for that response. TG: He was. He was indeed. And I, as I say in the book, I had this very strong sense that this is a man who meant what he said and he said what he meant. So before the Bush administration ever commenced, I knew who I was working for. And, of course, when the administration commenced, I was working for a peace and prosperity president. And if you read the first inaugural, as I have many times, that’s the sense of where we’re going. Less than a year later, it was a war presidency. For all of the tumultuous changes in the country, in the organization of the agencies, in the organization of the federal government, not since World War II have we had such a big change in the organizational structure of the federal government as we did in the Bush administration as a result of 9/11. Through all of that, through the best and through the most impossibly difficult days, I saw a continuity in George W. Bush and the continuity, I feel very confident in saying, was rooted in his Christianity. That was the source of his confidence. That was the source of his hope and his faith and his trust. And I think it’s the same in the post-Bush presidency. There’s been a remarkable statement of humility by not feeling like he has to comment on all or most of the happenings of the day. I find that refreshing. GT: Who do you think would be a better president for the United States — a politically conservative Hindu or a liberal Christian? TG: I am very confident that the founders made the right decision when they said there should be no religious test for high office in the country. As a Lutheran I can say that Luther famously once said that he would rather be ruled by a Turk or a Muslim than he would by an incompetent Christian. My view is that we are looking for competence in the highest office in the country. And that it’s okay in America — in fact it’s constitutionally protected — that if you wish to have a view on a candidate or a president rooted in your religious belief, you may do that. That to me is a healthy and a good thing. I was fortunate in working for President Bush, that I worked for a man who shared my faith. And for me, that was extremely important. But I believe that as we go forward in America, we are probably going to have Christians who are presidents, and it’s possible that we will have someone from another faith tradition. This is not new in American politics. When Taft was running for the presidency as a Unitarian, he understood that as a Unitarian, he was running in a country and a culture that was very different than Unitarianism. Of course, John Adams was the same. In 1928, when Al Smith ran for the nomination as a Catholic, yes, he was a Christian, but he also understood that in the long life of American history we had never elected a Catholic president, and it was the same for John Kennedy. GT: How did your friendship with Bill Buckley of National Review affect you? TG: I write in the book a chapter called, “Fortunate Friendships” because the two friendships of my lifetime that shaped me most in the way that I view life from the standpoint of being rooted in ideas were the friendships that I developed with Russell Kirk, which was largely a friendship by letters, although we saw each other at least once a year in Washington when he was here in the latter part of his life, but most expressly by Bill Buckley. Our friendship began, as I say in the book, in a way I think neither of us could have predicted. But I came to see in Bill somebody who loved and valued the first principles: faith, family, freedom. Those were really central to who Bill was. He was a conservative second. In a way, as different as Russell Kirk and Bill Buckley were, they had that in common. And it goes back to the question that you asked me about conservatism. Yes, it has a political expression, and certainly Russell and Bill believed that, but there’s something in their lives as conservatives that preceded politics, and that was what I was getting at in my chapter on my friendship with Bill Buckley. GT: Thank you so much for taking the time to speak with me today about these compelling issues, Tim.